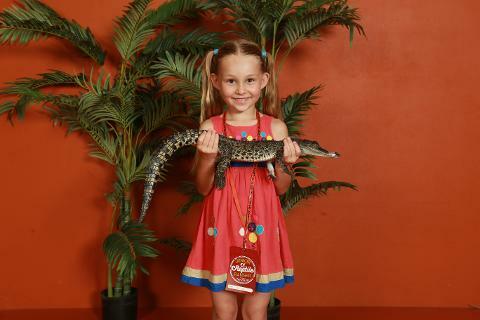 Plus: receive a souvenir lanyard and photo with a baby crocodile to take home! • Departs 3:00pm, this is a 2 hour tour. • Min 2 pax. Max 8 pax. 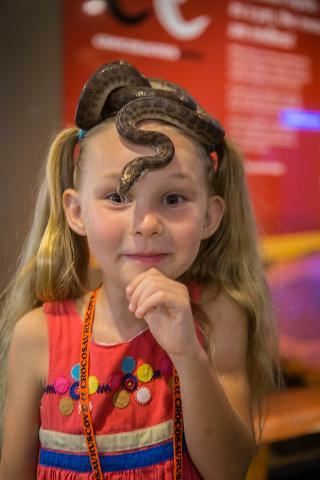 • The Junior Reptile Ranger Program is not applicable towards and/or can not be combined with a Locals Pass. 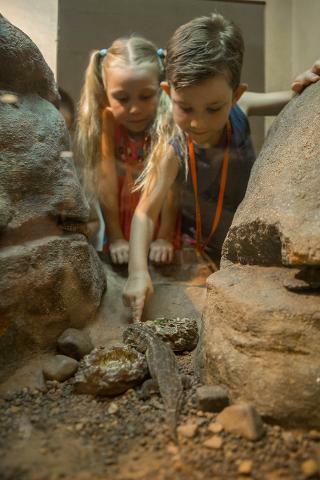 • Please note this experience is for Junior Rangers between the ages of 7 and 12 only. Parents who wish to attend are to observe only. • All Children must be dropped off and signed in by a Parent and/or Guardian at the ticket desk. • In the case of emergency, Parent/Guardian contact details must be provided for each participant. • Please advise of any medical or allergy conditions to the staff prior to commencing the tour. 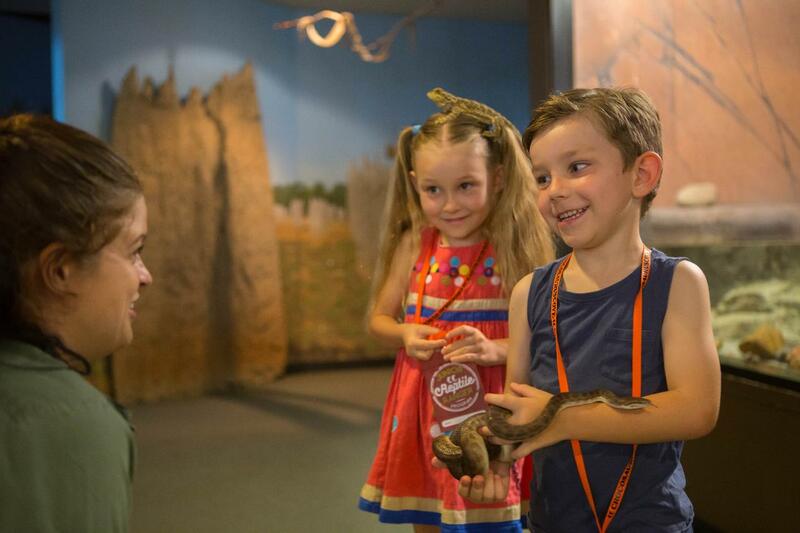 • Please note that part of this tour includes feeding reptiles. Thus, children will be asked to touch bugs such as worms and crickets, and raw meat including chicken heads (while wearing gloves). Children will be given the choice to not participate in feeding if they are uncomfortable. • All children are to arrive with closed in shoes, a hat, and sunscreen. • Children are to be picked up from the ticket desk strictly at 5:00pm. • All participants must follow the instructions of Crocosaurus Cove staff members at all times. Entry is at the participant’s own risk. 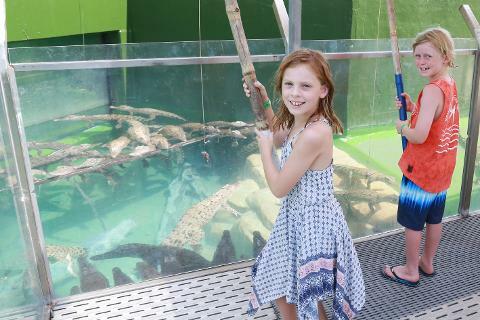 • Children will be handling various reptiles that are used to being handled, however they can bite. If they do, please listen to the instructions of Crocosaurus Cove staff members. • Children are not to throw and rubbish or materials into the enclosures. 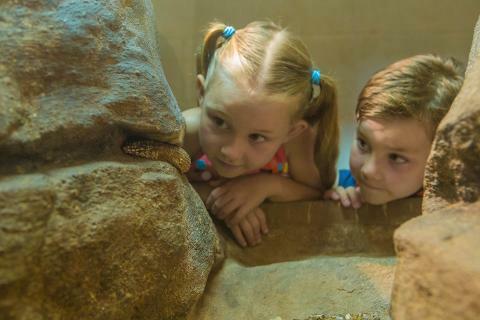 • Participation in the Junior Reptile Ranger Program includes entry to the park for the day.